parentwin: What's Your (New) Sign? I've never put any stock into horoscopes and star signs. Born in the early 1980s, I always figured myself beyond all that New Age mumbo jumbo, if that's even what it is. Until, of course, the internet's hysteria over possible sign changes hit me. I was fairly distraught. Am I actually a Gemini? That doesn't make any sense. I'm moody, I'm loyal, I'm mothering...all 'signs' point to Cancer. I don't want to be a Gemini. And I wasn't alone. Hundreds of people I know railed in opposition to this new finding. No one wanted a new sign, and no one wanted to be the new one, Ophiuchus. Isn't that a transformer, anyway? Ophiuchus Prime? It turns out, regardless of what kind of lip service people pay the Zodiac, we are somewhat attached to our sign. Even if we say that we define ourselves, it is apparently too easy to use a few adjectives here and there given to us from above. It becomes a part of us, regardless of how well it fits. We take what we like and leave the rest, and do what we can to make the definition of our sign fit us. We may say it's unimportant, but does anyone not know what their sign is? If you are wondering and haven't seen this yet, here are the "new" signs. But don't panic. As is more and more frequently the case, a slow news day combined with lightning-fast social media held to no accountability and bored internet-goers, means that an article originally reported by NBC on a debate that's been raging for years now (nothing new about it) from the viewpoint of one (that's right, one) astrologer, has been lended the legitimacy of the news media as more and more outlets and aggrigators pick up the story, eventually leaving the NBC reference in the dust, and forgetting the name (and number) of the astrologer whose theory this was originally about. So to the average viewer, it looks as if this week we collectively decided to change everybody's star sign. Not true. Will we someday have to change our sign, and, therefore, our definition of the traits we have spent years honing? Maybe. But that day really needn't be today. Still, either way, I'm pleased to announce that my babies will be Leos with or without the new sign. What people are failing to mention…or perhaps intentionally leaving out…of this debate is the fact that there are 2 zodiacs. Only one is "changing" (but really, it's nothing new, as you said, and isn't actually changing anything since the 2 zodiacs have always assigned signs slightly differently), and it's not the one most Americans subscribe to. Eastern astrology, or the sidereal zodiac, is the one that's associated with the lining of stars and planets, and is the one the big debate is about. Western astrology, or the tropical zodiac, is tied to the seasons, beginning with Aries on the vernal equinox. So, for us Americans, unless they suddenly decide to change the seasons on us, our zodiac signs aren't changing. I AM A CANCER! I am so panicked about this. Sure it would…I mean, CLEARLY our zodiac is superior since it doesn't change. If we don't mention both, how else will we feel like we're better than the rest of the world? Isn't THAT the whole point, anyway? It's ALWAYS about US! Old sign- Pisces, fits me to a T. New sign- Aquarius, not one single thing on that list is an attribute I can claim. I think I'll stick with Pisces. I am actually on the other side... I was a Taurus, on the cusp, and never felt that associated with it and didn't like being under the bull sign. 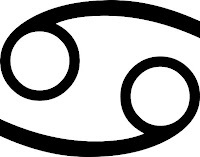 I felt more affinity towards Aries, my now new sign. For the first time I feel I am truly happy, like I belong somewhere. I feel like I fit. Don't get me wrong, I don't check my horoscope but maybe once a month if, I see a paper with it laying face up. I always read the two signs and my life seemed to fit more under Aries than Taurus. I dunno if there are more people that felt like that, but maybe it's our time. . . just some food for thought. Pisces Horoscope - Pisces Astrology this is the twelfth sign of the Zodiac. Pisces is represented by two fishes in water. That signifies that they require support and protective attitude. As fish remain in water and had no connection to outside world.